Premier Water is a Minnesota water treatment company. We specialize in high efficiency water softeners, whole house water filters, and reverse osmosis drinking water systems. Premier Water has been trusted by the most discerning families and businesses in the Twin Cities since 1978. Express Plumbers offers residential and commercial plumbing services in Minneapolis and the surrounding communities. We take pride in being a local business and are building a reputation of being great plumbers providing exceptional customer service. Why choose Express Plumbers? We will explain all of your options and make sure we understand the problem and you understand the solution. We are always clear and upfront about our service costs, so you know what to expect when the bill arrives. We respect you and your home. Our technicians wear clean uniforms and shoe covers, in addition to using floor mats. We'll leave your home as clean as we found it. Your safety is our top priority. Express Plumbers conducts background checks, and drug testing on all it's technicians. We'll listen to your concerns, and we'll do what it takes to ensure you're completely satisfied. Express Plumbers mission is to complete every project, large or small, with the highest quality materials, using highly trained plumbing technicians, in the timeframe requested by our customers. We have been serving the Minneapolis Saint Paul area since 1950 and have remained committed to providing the highest quality professional HVAC and plumbing service while delivering the ultimate in total home comfort and uncompromising customer service at every level. For over 25 years Grabow Plumbing has been honored to work with the Twin Cities finest remodelers. We strive to provide the very best service, functionality and design. Come in and visit our Plumbing Showroom located in Woodbury, MN. We’ve created a relaxing environment where you can select and purchase plumbing fixtures and faucets. Here you will meet with a knowledgeable design associate to guide you through your project every step of the way. Our showroom includes working displays featuring the latest, top quality plumbing fixtures and faucets including TOTO, Grohe, Brizo and more. Water Doctors Water Treatment Company is a division of HMI Water Specialists. We are an industry leader that specializes in custom built and engineered water-conditioning equipment. 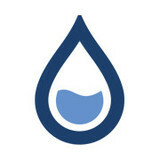 Water Doctors has been in business since 1984 and is a Water Quality Association member. All products are UL approved and NSF & WQA certified. We design and install systems ranging from simple inline filters, water softeners, drinking system all the way up to heavy commercial water purification for factories and large-scale corporations. Each year, one Builder, one Remodeler and one Trade Partner of the Builders Association of the Twin Cities earns these most prestigious awards that recognize trust, communication, loyalty and ethics in business dealings. Water Doctors Water Treatment Company was honored with the prestigious 2014 award. This is testimony to Water Doctors commitment to excellence in products and services to our Home Building partners and their clients. Through our vast network of homebuilders and dealers Water Doctors has become one of the most widely distributed water treatment companies in Minnesota & Wisconsin markets. We provide these areas with the most knowledgeable water treatment sales staff and most advanced water-conditioning methods on the market. Water Doctors employs a full staff of installation technicians, design engineers and service professionals. With over 350 years of combined service experience we are capable of performing the most complicated installations and solve the most challenging problems. After sales service is also a very important part of our business model. Whether you are in need of water treatment engineering advice, filter service or softener salt delivery, there is a service department waiting to assist you. McQuillan Bros Plumbing, Heating & AC is the premier resource for all things plumbing or HVAC related in St. Paul and surrounding areas. They offer drain cleaning, water heater installation and repair, frozen pipe repair, furnace and boiler repair, AC installation and repair, emergency services and more. For top quality plumbing and HVAC services call the best in the business at McQuillan Bros Plumbing, Heating & AC. Solutions Tub & Mechanical, LLC, is the premier Twin Cities and Western Wisconsin source for all of your Tub, Shower, Whirlpool and Spa repair needs. Whether your need is a substrate cosmetic repair or a mechanical repair, we will properly resolve and warranty the issue. Service arenas include: Single-Family Residential, Multi-Family Residential, Student Housing, Commercial, Industrial and Institutional. Service expertise include: Tub, Shower, Whirlpool and Spa Repair Services, Bathtub & Shower Acrylic Liner Systems and Bath & Kitchen Resurfacing/Refinishing. Operating as an Independent Service Provider and Factory Certified Service Company, the commitment to our customers is simple...Experience, Quality and Integrity goes into EVERY project. Meaning, our service and expertise is next-to-none; while concentrating on keeping your costs low and providing only the BEST industry leading products and services. Please, browse our website and Call or E-mail us today for your FREE consultation. Thank you - We look forward to hearing from you. Trust Kelly Plumbing & Heating, your "small town plumber", serving the St. Paul and Minneapolis area, focusing on Macalester, Groveland, Crocus Hill, Highland Park, Midway and Como Park! We can help with plumbing repair, sump pump repair, water heater repair and installation service, bathroom & kitchen plumbing and more. We understand your plumbing needs because we have been building strong, loyal relationships with our customers for over 35 years in St. Paul, MN. We are experts in repairing and installing plumbing in older homes. Everyone here at Kelly Plumbing & Heating takes great pride in the honest, open, straight forward approach we utilize in all areas of our business, both in the office and out in the field. Every job must come to a satisfying closure. After all, customers love to talk, and we give them something good to say about us after every job. Kelly Plumbing & Heating in St. Paul, MN also serves General Contractors doing residential remodeling. We are licensed in over twenty municipalities and have the expertise to handle any remodeling plumbing challenge. We treat your client with the utmost in courtesy, communicate clearly, and complete the new construction plumbing job in a timely fashion. 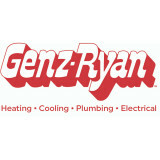 Small locally owned and operated plumbing company, based out of N St. Paul Minnesota. We primarily work with General contractors on residential plumbing remodels. Big Dave’s Plumbing of Saint Paul, MN provides full plumbing services to the local and surrounding areas. 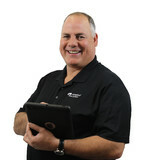 Big Dave has over 36 years of experience in the plumbing industry. With his experience, knowledge, and professionalism, Big Dave can provide you with complete plumbing services with quality workmanship at affordable prices. Big Dave is dedicated to provide exceptional customer service to his customers, so call today to schedule your appointment. When you are in need of an expert plumber in the Minneapolis area, we are the only name you need to know! Since 1963, Aqua City Plumbing has become synonymous with trusted, reliable plumbing solutions, and superior customer care. We are a family-owned and operated company, made up of expertly trained and experienced Minneapolis plumbers. Champion Plumbing, founded in 2001, serves residential customers with a dedication to excellent customer service, high quality of work, and competitive pricing. Our charge is to build long-lasting relationships with our customers, so they feel confident in our ability to meet all of their plumbing needs. We are committed to providing our customers with all possible options, addressing all their concerns, and providing information necessary to make the best decisions regarding their plumbing service needs. Our customer rewards program, "MVP Club", is the most innovative and valuable rewards program in the industry. We want to reward the customers that are loyal to us. Our program provides our repeat customers with tremendous savings, including a maintenance program that reduces costly emergency plumbing problems. When a home improvement job involves installing or repairing water, gas or other pipes, it’s smart to hire a licensed plumber in Saint Paul, MN. Their expertise can help prevent costly water damage to a home’s structural elements, and provide peace of mind that the job is done correctly. Building a new home or remodeling an existing one always calls for the skills of a certified plumbing company as well, so don’t hesitate to contact one for any project, big or small. Read further for more tips on hiring to best local plumbers in Saint Paul, MN. A plumbing contractor handles the installation and repair of water, sewage and natural gas pipes throughout a home, as well as interior and exterior faucets and fixtures. Plumbing contractors are also trained to work with water mains, septic tanks, laundry appliances, water heaters, sump pumps and other plumbing and pipe systems. Because plumbing repair work is done largely behind walls and beneath floors, some plumbing companies can also patch or replace tile, stonework and other surfaces. Although some Saint Paul plumbers are generalists, others specialize in specific areas; a 24 hour emergency plumber will handle urgent residential repairs, while others may be more skilled in remodeling, natural gas lines, overhead sprinkler systems and more. Find a local Saint Paul plumber on Houzz. Narrow your search in the Professionals section of the website to plumbing contractors in Saint Paul, MN. You may also look through photos of Saint Paul, MN projects to find a licensed plumber who has worked on a project similar to yours. Here are some related professionals and vendors to complement the work of plumbers: General Contractors, Septic Tanks & Systems, Kitchen & Bath Designers, Kitchen & Bath Remodelers.